The Museum of Timekeeping is a registered Charity (CIO) which aims to provide inspiration in the history, science, art and craft of timekeeping- to be enjoyed by everyone. 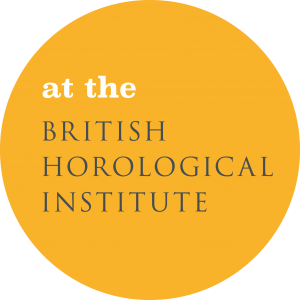 The Museum’s collection was originally begun by the British Horological Institute at the time of its founding in 1858. Its members began a tradition of donating and collecting many rare and valuable clocks, watches, timepieces, books, tools and parts to support the education of clock and watch makers. In 1994, the collection was transferred into an independent charitable trust, to ensure both the long-term future of this unique collection and allow its enjoyment by the whole of society as a public Museum. The Museum of Timekeeping is currently undertaking an exciting new period of development, which aims to see the Museum extend its opening arrangements, and develop new and exciting projects. We’d love to hear your thoughts and feedback as part of this process. You can find out how to get in touch via Contact Us page on this website.